Today, we are launching our latest film, Hate Crime. We were commissioned by the Sheffield City Council as part of the Equality and Fairness Grant to produce a film raising awareness about Hate Crime. We filmed a series of interviews with a variety of representatives and members of the Equality Hub Network. Hate crimes are often not reported and this video aims to inform the importance of reporting hate crimes and how to report a hate crime. Please share this video to help raise awareness. Today, we are launching our latest film, Conversations That Matter. This film was funded by the Sheffield City Council and focuses on the contributions of the LGBT community with the specific aim to demonstrate what there is for LGBT women in Sheffield and what still needs to be tackled. 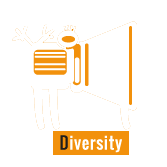 We spoke with several organisations including, LGBT@50+, WHAT, LGBT Committee at Sheffield’s Student Union and Rachel Sanchez the Development Officer from Sheffield City Council. Sunday the 17th of May was International Day Against Homophobia, Biphobia and Transphobia, a day that commemorates the day in 1990 on which the World Health Organisation declassified homosexuality as a mental disorder. The event in Sheffield was held in the Peace Gardens where approximately 200 people attended. 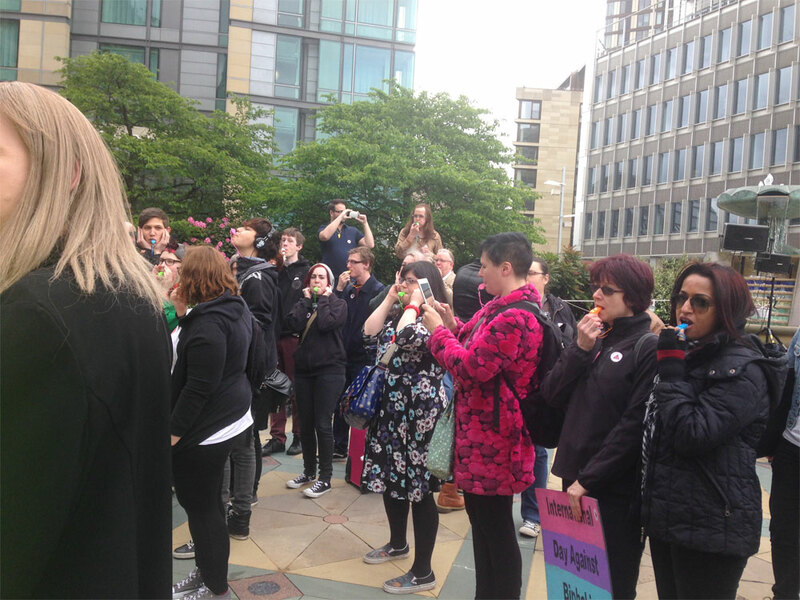 There were speeches from Steve Slack – Sexual Health Sheffield, Nikki Bond – Labour Councillor, Adam Hood – Head of Sheffield Pride, Nell Stockton – Trans Activist and Director with LGBT Sheffield and young people from Sheena Amos Youth Trust (SAYiT). Then the one-minute of noise, which was captured on camera by LGBT Sheffield. Activities then followed, which included the E.D.E.N Action! 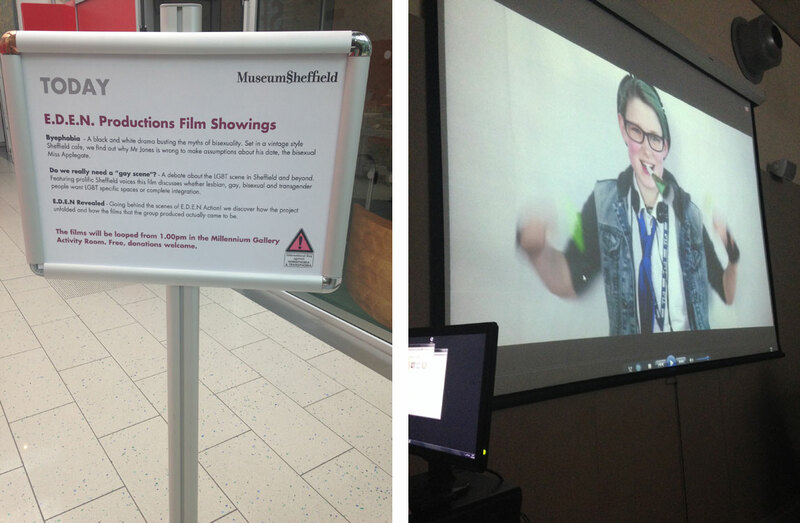 films being screened on a loop in the Museum Sheffield activity room. E.D.E.N was part of the planning group for Sheffield’s 2015 event celebrating the 10-year anniversary. We worked alongside Sexual Health Sheffield, Sheffield City Council, Museums Sheffield, LGBT Sheffield, Sheffield Pride and SAYiT. It has been a very exciting journey since founding E.D.E.N Film Productions in 2013. We have recently completed our latest project, E.D.E.N Action! which involved training 10 unemployed members of the LGBT community with filmmaking skills. 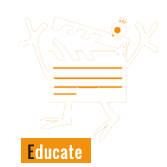 They used these filmmaking skills to create three fantastic films; these can be viewed at Our Projects page. I was incredibly proud and impressed with all the learners and volunteers’ that were part of the project. There was so much passion, dedication and creative development throughout the process of the project. 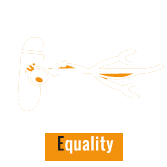 The rebranding of E.D.E.N focuses on our core aims, Equality, Diversity, Education and Nurturing. The creatures have been developed to represent each area of our aims, you can find out more about these in the special + option in the top right hand corner of the website. 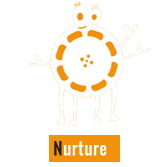 We have also had a colour change from green to orange – which I like a lot! Please have a look around the website and let us know what you think. You will be able to find out about our aims, projects, work, campaigning and our latest news. Thanks for reading and please get in touch if you have any questions or feedback.